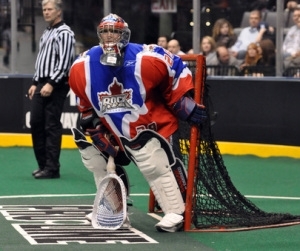 Box Lacrosse is one of the absolute best ways for players to develop themselves as a lacrosse player. Box encourages players to get comfortable in tight spaces and playing the entire field. It also builds stick skills and greatly increases overall lacrosse IQ. Have to be in high school. Equipment needed: Helmet, shoulder pads, gloves, elbow pads, short stick & jock strap (suggested). Each Monday we will mix up the teams and play a game after the goalies are warmed up. It will go by quick but you will be exhausted. Looking to have 2 teams of 15 players min & 17 max players. We will have Goalie Equipment to use. Each player will get a standard Coalition Reversible pennie. Cost: $125 per player. Players will get a Coalition Reversible Practice Jersey. Needs to be paid in full before Jan. 14th 2019 or a post dated check for the full amount, to save your son's spot. There are limited spots per session. No Refunds. Payment instructions will be emailed to the parent after you sign up. Sign-Up: You can pay by check or online in that link. Has to be paid in full by Jan 14th.